Hey there, Over the Big Mooners! I am McKenzie and I am a lifestyle and beauty blogger at Girl Loves Glam. I love celebrating different holidays, but I don’t always like to go above and beyond to transform my house for every holiday. 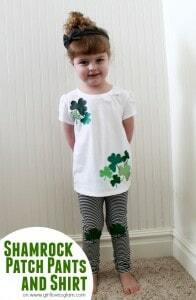 St. Patrick’s Day is one of those holidays. Before you start calling me Grinch, let me explain by saying that we totally celebrate St. Patrick’s Day by dressing in green, our house just isn’t dripping in green. 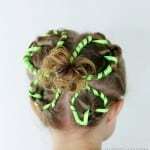 I have loved creating different hairstyles for holidays and I saw a cute idea for a clover hairstyle. The problem is that it was only a 3 leaf clover. 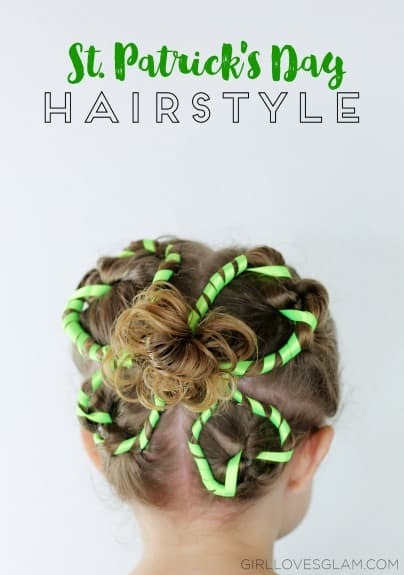 I made some tweaks and created an adorable four leaf clover St. Patrick’s Day hairstyle for the little girl in your life! 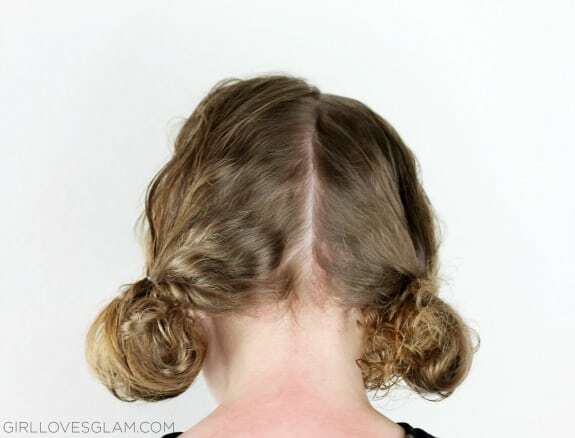 First, split the hair in half and put it into two very loose pigtails. 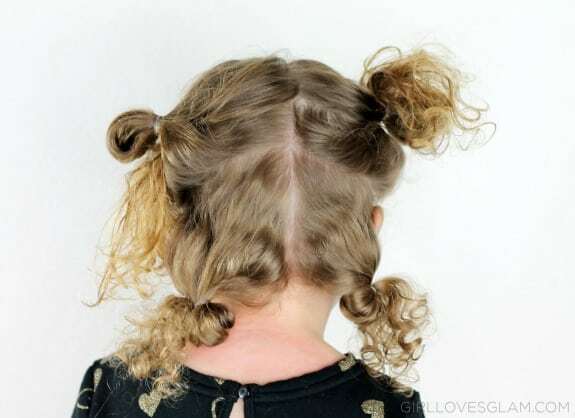 Go to one of the pigtails and split it in half. 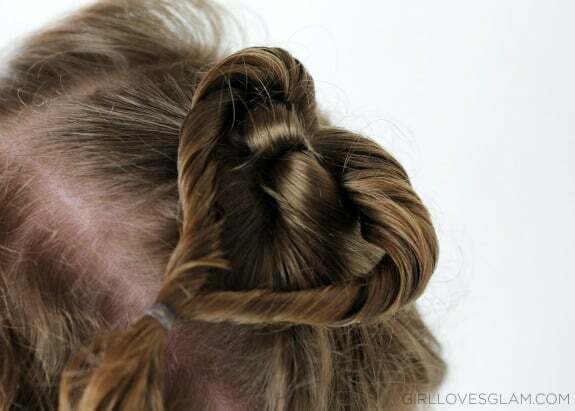 Part it right above the ear, creating 4 ponytails. Take one ponytail out and get the hair wet. 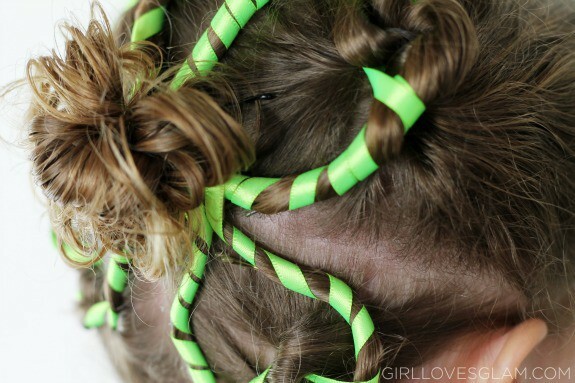 Comb through the hair to make it really smooth and put it in a ponytail. 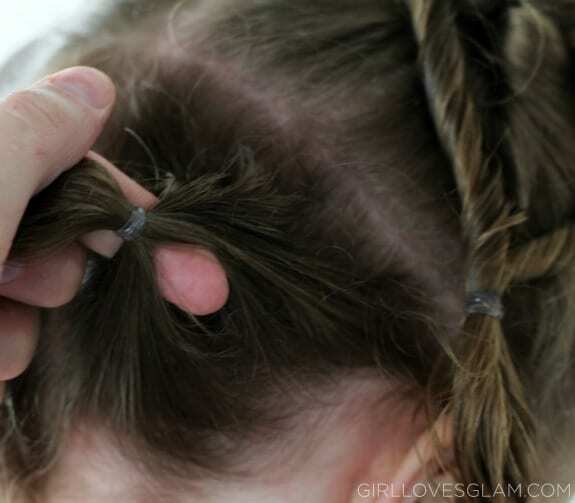 Stick your finger though the base of the ponytail. Stuff ponytail through the hole in the base. Make sure that you stuff it from the center and pull it out going out towards the girl’s face. 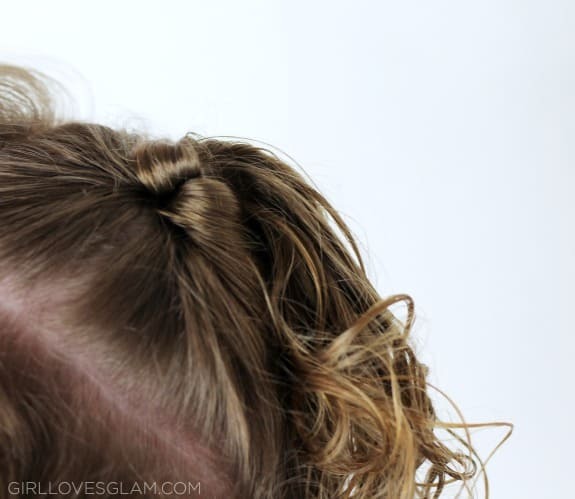 Put pomade through the wet ponytail and split the ponytail into two small sections. 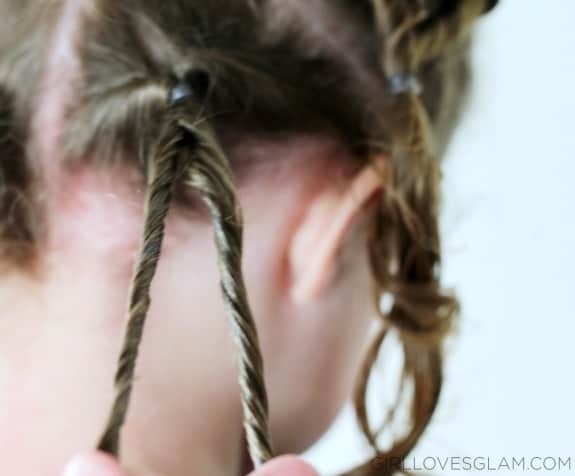 Twist the hair away from yourself, towards the girl’s face. 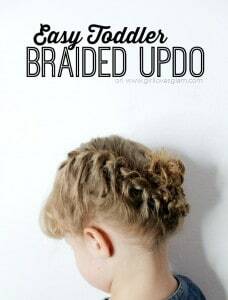 Pull twists on either side of the base and put an elastic on them to hold them together. It will create a heart shape. If it isn’t perfect, it is just fine. You will have plenty of time to fix it later. Repeat the steps above until you have done this for all four sections. 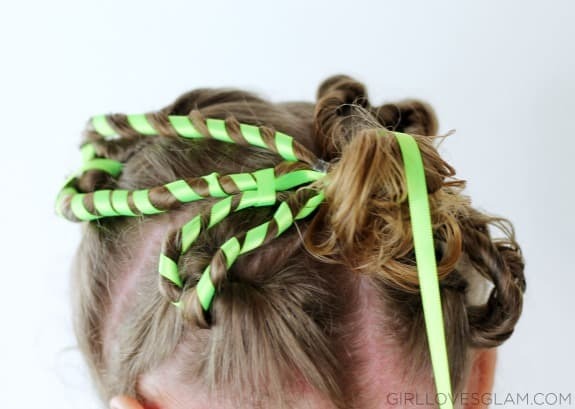 Now pull all of the sections together and put it into a ponytail. 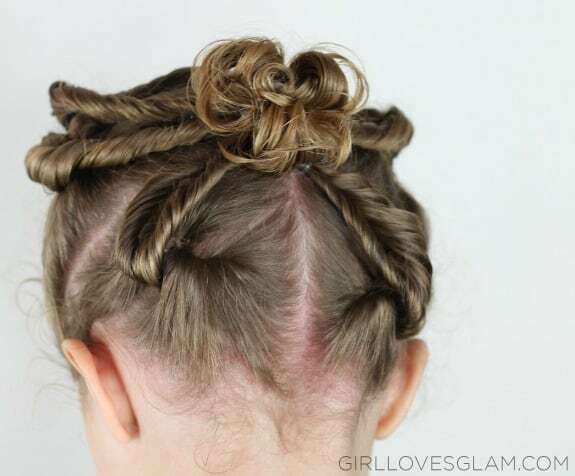 Loop the hair back through the elastic to create a messy bun with the remaining hair. Cut a long piece of ribbon (mine was about 8 feet) and stuff the end through the elastic in the center. Loop the ribbon around each of the “leaves”. Once they are all wrapped, stuff the other end of the ribbon through an elastic and cut the remaining ribbon off. Bobby pin the leaves into place to make their heart shapes again and to keep them from wiggling around. Secure the bun if it needs to be secured as well. 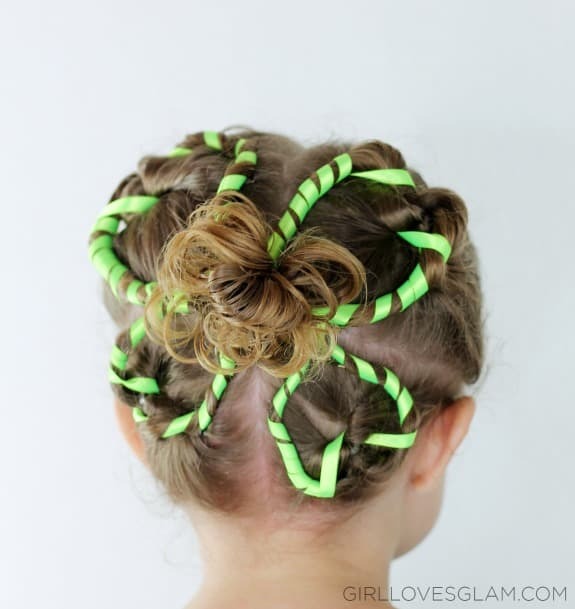 Now you have an adorable hairstyle for your little girl that keeps them looking festive and totally pinch proof! 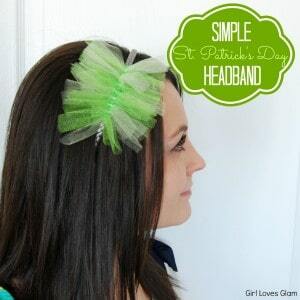 You can find more fun hair tutorials more ways to make yourself pinch proof this St. Patrick’s Day over on my blog, Girl Loves Glam.